Now, with the development of RFID technology – RFID tags,RFID chips have become an important part in our daily life, believe it or not. Barcodes will soon exit the stage of history. Barcode patent was issued in 1952, and since then, it has been widely used, particularly in grocery stores and department stores. In fact, barcode appeared long before the 1950s. In 90s, it was widely believed to be a new technology. We human beings are always eager to adopt better and more advanced technology. RFID technology was invented in the 1969, and the patent of RFID was awarded in 1973. RFID tag is actually a microchip. RFID chip is a transponder, or what we call transmitter / transponder. It is always ready to receive radio signals from a transceiver or RFID reader. RFID chips would make a response after receiving a specific radio signal, which means RFID chips own unique ID code and would send back to the transceiver. There is no battery for most RFID chip itself. So RFID chips usually begin working when the wireless signal wakes up and get a response from them. The only requirement is that the RFID chip must be placed within a coverage area of the reader, it can not be separated from water or a metal. RFID chip has a written protection feature, The saved RFID tag data can only be read or modified by authorized users. RFID chips can be divided into two categories, namely the use of chip technology and the use of active passive chip technology. Early on, the production cost of RFID chips is high, but experts predict that sooner or later RFID manufacturers will reduce their prices. RFID chips can be used for most goods and even for life on Earth. RFID chips are widely used in the field of security, such as at the airport, the cargo ,and the luggage, in order to reduce lost luggage rate and simplify the tracking of baggage in the event of any technical failure. When the customer’s flight plan changes, RFID chip can also help staff modify the luggage transport travel. There are several well-known RFID manufacturers and retailers use RFID chips to manage supply chain processes, from production to shipping, and then put the goods on store shelves. For example, one of the largest employers- RetailGiant in the United States use of “smart shelves” that can automatically alert administrators and staff of complementary items on the shelves. Wal-Mart and other large supermarket expect all vendors to support RFID tracking, so that they will can know the goods without having to open each box or use a barcode scanner but just use a RFID reader pointing to sealed cargo containers. In addition, banks also try to issue new Visa cards, and take the advantages of smart cards with RFID chips together. So that customers can easily complete the transaction without any cash or coin case. These smart card reader can also be installed to your phone or other electronic devices, helping users to pay for parking fees or purchase goods. The use of RFID chips tracking in asset can reduce the loss of assets or misplaced, improving the security. The use of RFID chips can improve the security of sensitive goods, as well as can be used as an additional means of verification. There are many situations when a plastic card would offer a business additional benefits, but many companies don’t consider printing onto plastic cards, instead of the traditional medium of card. First impressions count for everything: if you’re giving somebody a card, whether it’s a loyalty card, business card or an information card, then being remembered is the number one aim. Do you want to be remembered for style, quality and design? Will these advantages make you stand out from the crowd and elevate your brand above the competition? The plastic card industry is evolving and expanding through new printing technologies and increasing interest, as businesses swap from the traditional card to plastic. This means plastic cards (including plastic business cards for companies or individuals) are affordable and accessible to the vast majority of business across the world. So why are companies switching to plastic to promote their businesses? Plastic is a material that has many uses and comes in almost every shape, size and colour. Its popularity has been mainly due to its versatility and durability. Printing cards in plastic means they can last for a very long time and keep on representing your brand in an untarnished way in comparison to other materials that would have started to fray or disintegrate. It takes a lot of use to wear out a plastic card, which is why many companies are now looking to plastic for business cards. How many times have you placed a business card into your purse or wallet and regretted it when you needed the number on the now disfigured card? Design is often how many people first see your business, and it can say a lot about the company and even its values. Often medical and financial business cards consist of a two colour design, displaying a clean, direct and elegant flow. On the other hand, companies like hotels offer a luxury or boutique feel using high contrasting colors and suggestions of luxury by using designs based on gold on black. However, all plastic business cards have one thing in common: quality. The printing of colours is deep and rich, offering a highly detailed card that can remain floorless for a long period of time. What benefits does RFID have over barcodes ? RFID is a read/write technology. It can write / program the data after it is attached to the product. This offers a higher level of flexibility to track and update the data as the product goes through the supply chain, into the end use application or beyond. 1) Barcode labels must be seen to be read. RFID labels / tags do not have to be seen to be read. 2) Barcode labels may not be readable if they are incomplete or dirty. RFID labels / tags integrity are maintained as there are underneath the actual labels / tags, inserted within the packaging or incased in a durable material. 3) Barcode labels must be placed on the outside of the product / packaging. RFID labels / tags can be read even when multiple tagged products are sealed inside a carton (for example). 4) Barcode labels must be orientated on the product / packaging so the barcode is in-line with the scanner. RFID labels / tags are often orientation insensitive, meaning the tagged item not only does not have to be seen to be read, but also can be in any orientation. 5) Barcode labels provide only one ID for each package of a carton, pallet or individual package of a product. For example: a 12 ounce bottle of your favorite soda will have the same barcode on every 12 ounce bottle of that same soda. RFID labels / tags provide an unique ID for each product and can be associated with individual information such as the manufacturing location, date shipped, lot number etc. 6) Barcode labels are printed, or written once, and cannot be changed at any time throughout the supply chain without another barcode label attached over the original label. RFID labels / tags provide read/write technology. The data can be written / programmed, can be changed or updated at any time in the supply chain and even into the end use application or beyond. Author rfidchip_@2016Posted on September 26, 2016 Categories RFID InlaysTags Barcode labelsLeave a comment on What benefits does RFID have over barcodes ? What is the difference between an inlay and a label ? An RFID inlay is the functional portion of RFID label. It is made up of the antenna to which a microchip (IC) is attached. The inlay can be either “Wet inlay” or “Dry inlay”. Wet inlay has an adhesive backing with a clear or colored topsurface of PVC, PET or paper. It is commonly used to make RFID Labels where the wet inlay is placed on the back of the label with the adhesive side away from the label side so that the label has continuous adhesive. Dry inlay is typically attached to the substrate (or carrier) backing material commonly called the web. If adhesive is added, it is called a wet inlay or pressure-sensitive inlay. In both cases, the inlay is supplied to a converter where it is inserted into a label or tag or whatever type of construction is required for the application. RFID Labels can be supplied as bare RFID inlays on a PET substrate with or without an adhesive side (Wet inlay or Dry inlay). If you want a completely clear label that shows the inlay, EG can provide these also. RFID label are suitable for brand protection, logistics management, warehouse management, supply chain management, wholesales, important assets management, vehicle tracking, healthcare, supermarket, airways etc. Author rfidchip_@2016Posted on September 26, 2016 Categories RFID InlaysTags rfid labelsLeave a comment on What is the difference between an inlay and a label ? What does an RFID inlay consist of ? The microchip design determines the protocol and class of the tag’s operation. Different microchips have different features that can also affect performance. RFID microchips contain circuitry capable of handling a variety of functions from power conversion to data storage and retrieval. Author rfidchip_@2016Posted on September 26, 2016 Categories RFID InlaysTags RFID inlayLeave a comment on What does an RFID inlay consist of ? How good is the Visibility of your company’s supply chain? Is it real time? RFID will help to improve your efficiency and accuracy. Wal-Mart and the Department of Defense (DoD), along with some other major retailers, now require their suppliers to begin RFID-tagging pallets and cases that are shipped into their selected distribution centers and stores. These mandates are about to impact a large number of manufacturers and distributors around the world. While businesses are looking to use the technology in many scenarios across various industries, the retailer mandates are the main driving force behind the current interest in the technology. RFID Hardware—Selecting tags (chips assembled with an antenna on a label), Readers, and antennae (devices that communicate with the tags); placing RFID tags on the products; placing and configuring readers and antennae in the stores, warehouses, and other locations. Software Infrastructure—Capturing and managing data from the RFID Readers, integrating the data into decision support systems, and sharing data with trading partners for business collaboration. Evolving business processes—Supporting finer granularity, more real-time product data, automating supply chain execution, and developing new business processes for exploiting RFID technology. A simple Supply Chain consists of end-customers or consumers who buy goods or services from a retailer at a store or through other channels, such as an e-commerce website. The retailer may stock the goods and tools to provide the services from a wholesaler or a distributor. The distributor normally buys goods in large quantities from a manufacturer who makes the goods in a factory or a production facility. The manufacturer buys raw materials from suppliers. A typical supply chain has one or more of each of these entities. There could be multiple tiers of suppliers, manufacturers, and distributors. As materials move from the initial supplier in the chain to the end-customer, value and costs are added at each node. As you get closer to the retailer, the supply chain becomes more complex, with different products sourced from many different business partners; a retailer like Wal-Mart sells thousands of products sourced from thousands of direct suppliers. Businesses strive to make their supply chains more efficient by improving the information sharing throughout the supply chain. A retailer has to constantly share its forecast, which is based on many factors such as seasonality, price, promotions, and advertising. At each node in the supply chain, forecast and actual sales from the next node are collected, and planning may be done on what and how much to make, which drives what and how much to buy from the previous node. Today large demands are placed on manufacturers, distributors, and retailers along the chain to maximize efficiency, minimize cost, and provide the best value to the end-customer. These suppliers are all learning how to apply new technologies within their sectors to improve business earnings. One such technology is RFID. Many large retailers have a complex and labor-intensive receiving process. As products arrive from manufacturers, a physical scan is required to read the barcode on the pallet and on each case (box) on the pallet. What was received has to be checked against the Advanced Ship Notice already sent by the supplier, and any discrepancies must be identified and resolved. The pallet is then put away as is, or it is unloaded and individual cases are stored away. As the distribution center (DC) receives orders from stores, new pallets may need to be assembled by loading the cases from the storage facility and shipped to the stores. Large DCs have huge conveyor belts on which cases from unloaded pallets are placed and routed to appropriate store palletization areas. Many of these retailers now require their selected suppliers to RFID-tag pallets and cases. Their goal is to automate the receiving into DCs and stores, to achieve significant labor savings, reduced data-related errors, and improved product availability. However, for the suppliers, this is simply a cost of doing business, unless the retailers share detailed product movement information with suppliers. While RFID can impact many different areas of the supply chain, the following section presents fictitious scenarios between a supplier, a manufacturer, and a retailer, and identifies various processes that can benefit from enabling RFID. Event management is a rewarding and difficult business. The challenges include event and exhibit design, budgeting, creation of props and décor, security and accounting. One of the key components is processing and managing secure entry of potentially thousands of people to special events such as conferences, trade-shows, concerts and sporting events. How to handle admission to events can be an enormous job. Passes and tickets using OPRFID RFID have made the task just a little bit easier and much more secure. RFID takes event access management to the next level. To start with, RFID gives the organizer the ability to uniquely identify each attendee or paying customer. An RFID pass can be read from a distance. Line of sight is not required to read RFID passes. An RFID pass can hold information about the pass holder. RFID passes can be written to. RFID passes can be reused. RFID passes can not be forged or duplicated. OPRFID RFID tags can store information. The information can be written on the RFID tag using one of the OPRFID RFID readers. 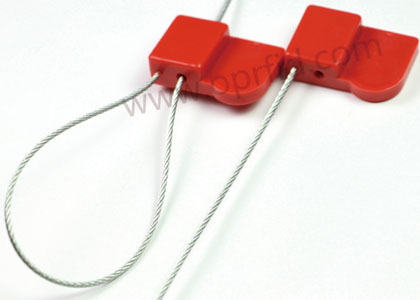 The RFID tag can be manufactured into a pass and take on different forms. The pass can be a label, ticket, Smart Card or wrist band. Information about the pass holder can be stored on the RFID pass before an event begins and additional information can be placed on the pass during the event. This pass holder information can be useful to trade show exhibitors by identifying important prospects. Pass holder information can be used by organizers to screen entry to secure areas at different times of the day or event. Organizers can be confident that RFID passes have not been duplicated. By using strict distribution control of the RFID passes an event can be made very secure. RFID offers the potential to assess how many people will be in a particular place, at a set time. This information can be channeled into your business strategy, enabling you to focus your service more accurately and reap significant benefits for your business. Privacy is of course always a consideration. Therefore, RFID systems can be customized based on the needs of the conference. Occasions that deal with topics where attendees may want to remain anonymous would obviously require a system that is less intrusive. This is exactly why the solution is set up to be highly and conveniently customizable. OPRFID RFID can help you implement automated (hands free) reading. That will facilitate much faster movement of people with shorter line-ups. Turnstiles equipped with OPRFID RFID readers can be used to reduce or eliminate staffing requirements at some entrances and exists. Accurate data can be captured such as real-time and date and movement information. By integrating OPRFID RFID readers to an intelligent backend system access can be controlled to different areas at different times of the day to different pass holders. OPRFID RFID’s wristbands, badges, passes, antennas and readers combine with your software to provide state-of-the art solutions for the special events business. Our professional sales staff will help you identify the best solution for your conference, exhibition, or trade show. To find out how we can solve the challenges in your event business, please contact us. Keeping track of valuable assets is a critical task for businesses of all sizes. Fortunately, this task has become much easier with the introduction of RFID, or radio-frequency identification technologies. RFID has enabled companies to locate assets in real time and shift inventory around as necessary simply by attaching a small RFID chip to each asset. For example, Oregon State University has implemented an asset tracking program, using RFID, to help provide greater access to their disabled students on campus. By leveraging the capabilities inherent in these technologies, the university has been able to keep better track of the specialized furniture they use to facilitate a better learning experience. Through implementing this new tracking system OSU has improved inventory utilization and staff productivity while ensuring that the campus is accessible to people with disabilities. RFID has also been used, with great success, by a variety of retailers to help improve the customer experience. Retailers who have already adopted this technology have a way of tracking inventory all the way through the supply chain. This helps to reduce out-of-stock situations and it also gives them a great means to retain a sale by quickly locating any item within their system. They can then have the product shipped directly to the consumer and the customer will be able to track the delivery progress using very similar technologies. Textiles can be easily identified by the use of RFID technology, with amazing advantages for industrial laundries. Benefits include faster garment identification, automatic sorting, error-free processing, reduced manual labor and long lasting solutions. The amortization factor of RFID systems in industrial laundry applications is very high.